Pharrell Williams still look like a little kid, he was out in New York last night at a Vanity Fair event. 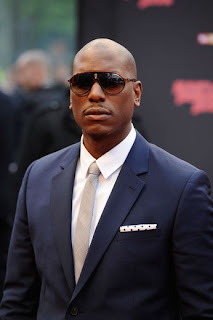 He sure knows how to clean up and does it soo well, Tyrese Gibson at the premier of " Fast Five". Estelle Tika and Darell at the pre draft party hosted by ESPN in New York. if most of you been watching "Love and Hip Hop then you say the episode when Derrell dissed Olivia about being with her, ya have to see that episode. 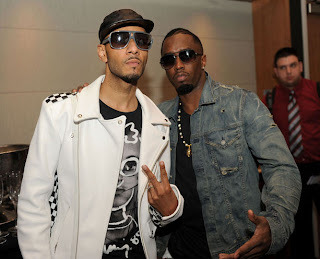 Swizz Beats and Diddy seen hear chillin at the W Hoboken Hotel. 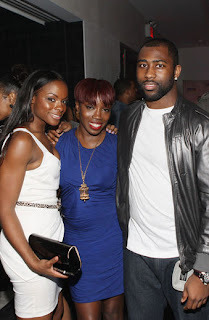 Also in attendance was Estelle, Daumm girl two parties in one night your really making the best of your celebrity.